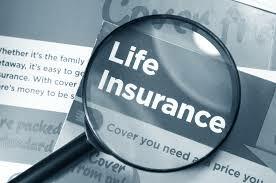 This article focus to explain benefits of Investing in Life Insurance. Here explain Life Insurance investment in finance perspective. A life insurance policy or life assurance can be a contract between the policy owner as well as the insurer, where the insurer agrees to pay a n amount of money upon the occurrence on the insured individuals or individuals’ death or other function, such as terminal illness or critical illness. A life insurance policy companies are never required legally to underwrite or to offer coverage to anyone, apart from Civil Rights Act complying requirements.